The goodness of Anchor Milk is one of the best sources of calcium for the body. It is filled with Vitamin D, designed to help the body absorb calcium. Proper calcium intake contributes to strong and healthy bones, healthy teeth and improves vitamin intake. Those are the benefits five lucky families will enjoy for the next 12 months, courtesy of a partnership between Ah Liki Wholesale and Fonterra. The ‘Win free milk’ promotion started last December, giving five lucky winners the chance to walk away with a year’s supply. Losa Maiai-Wallwork, Head of Sales for Ah Liki Wholesales, said the promotion was extremely popular. 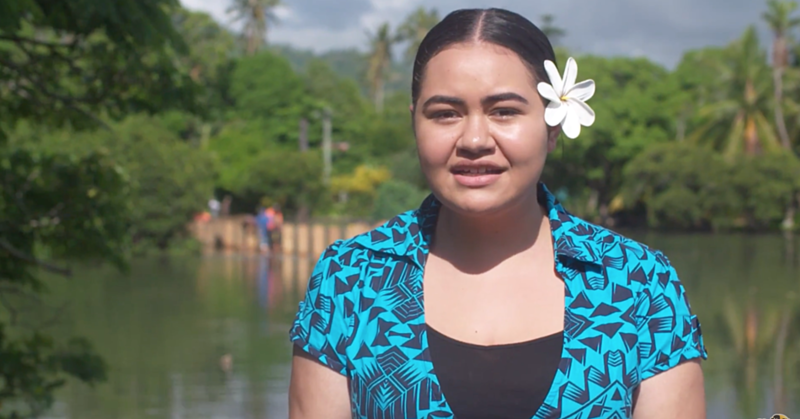 “This is the first time a promotion like this has taken place in Samoa and these are opportunities that are hard to come by,” she said. 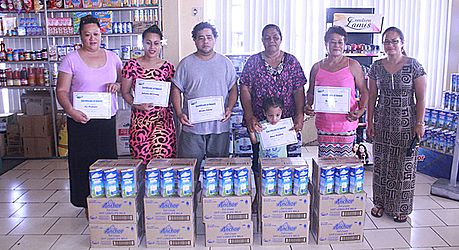 Fonterra, in partnership with Ah Liki Wholesale, have been providing the people of Samoa with constant supply of milk for over 20 years. The free milk promotion is Ah Liki and Fonterra’s way of giving back to their customers.